Named after Agatha Christie, these awards honour 'traditional' mystery novels published in the United States during the previous calendar year. The Award is presented at the Agatha Awards banquet during the annual Malice Domestic convention. Visit the Agatha Awards website for full list. Murphy's Mercantile, known as the Merc, has been a staple in Jewel Bay for over a hundred years. 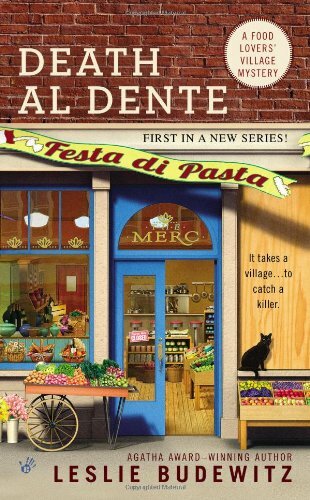 To celebrate their recent makeover as a gourmet food market, Erin has organized a town festival, Festa di Pasta, featuring the culinary goods of Jewel Bay's finest—including her mother Fresca's delicious Italian specialties. Young veterinarian Rachel Goddard's world begins to crumble when a client rushes into the animal hospital with a basset hound struck by a car during a thunderstorm. The dog owner's terrified tot, drenched with rain, loses sight of her mother in the flurry of activity and screams, ""Mommy! I want Mommy!"" Instantly Rachel is hurled back in time to a day in her own childhood when her baby sister Michelle uttered the same cry while thunder crashed and rain poured down on them. The unearthed memory feels like a fragment from a nightmare, and Rachel doesn't understand its meaning or the anguish it stirs up in her. When she seeks answers she learns nothing from Michelle or from Judith, their loving but manipulative mother. Judith is a psychologist who is only too happy to have her adult daughters still living in her elegant Tudor house outside Washington, DC. But their apparently serene home is a house of secrets where Judith's unspoken rules forbid questions about the family history or the daughters' long-dead father. As more baffling memories surface, Rachel begins to suspect that nothing about her family is what it seems. Fighting her mother's attempts to control her, Rachel embarks on a quest that takes her deep into her own memory as well as halfway across the country. The heartbreaking truth she uncovers will shatter her world and force her to make an unthinkable choice. 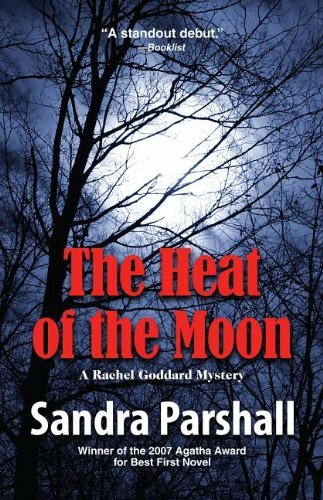 The Heat of the Moon is Sandra Parshall's first novel. It's So hard to Kill Good Help These Days. . .
With three kids to raise on her own, Jane Jeffry sometimes needs a hand with the housework. But many of her complaining neighbors believe that the Happy Helper cleaning lady they all share wouldn't know a dustball if she was choking on it. That hardly seems reason enough, however, to do the disreputable domestic in. So when the charwoman in question is discovered strangled to death with a vacuum cleaner cord, Jane decides to dig up the real dirt--if the tenacious single mom can find any time to spare between her PTA meetings and car-pooling duties. But despite her busy schedule, Jane is determined to tidy up the whole murderous mess--even if it means provoking a killer who may live as close as next door. To celebrate their wedding anniversary, intrepid caterer and sometime sleuth Faith Fairchild and her husband, the Reverend Tom Fairchild, are off to Italy for a vacation filled with exquisite indulgences—the art, the Chianti, the food, the Ferragamos! The plan is to spend a romantic weekend in Rome before heading to Tuscany for a stay at Cucina della Rossi, a cooking school founded by Faith's back-in-the-day assistant Francesca Rossi. Faith is certain that the only intrigue in store for her will be learning the secret recipe for Nona Rossi's ragu. 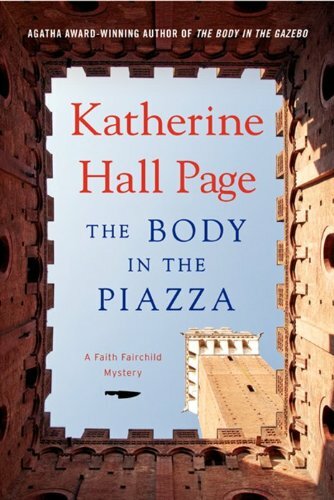 But a thicker plot begins to simmer when the Fairchilds accidentally stumble upon a dying man in the Piazza Farnese. It's clear from the knife in the victim's chest that murder is on the menu. Mysterious faces from Rome reappear in Tuscany. To Faith, this is no coincidence. And somebody is intent on sabotaging Francesca's new business by spoiling the cream and salting the flour. As Faith struggles to follow a trail more twisting than fusilli, she may be putting both herself and her husband in hot water. Katherine Driscoll is just three weeks away from disaster: foreclosure on her home and business, even the sale of her beloved dog. 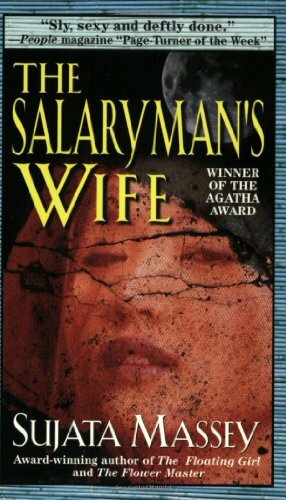 She has no hope of raising the $91,000 she so desperately needs--until the father she hasn't seen for thirty years writes to her, offering her enough money to solve her problems...if she will do one thing in return. But Katherine may never learn what that is. When she arrives in Austin, she is hours too late: her father has died in a bizarre accident. As she sifts through the cryptic notes he left behind, she finds herself caught up in terrible family secrets--and a deadly illicit trade. The more she learns, the more determined she becomes to prove her father's death was no accident. In doing so, Katherine will make a bitter enemy--one desperate enough to kill...and perhaps, kill again. Anna Pigeon takes a job as a park ranger looking for peace in the wilderness-but finds murder instead. Jordan Poteet has left the big city to work as a librarian in his hometown of Mirabeau, Texas. But his dream of the quiet life is shattered when he locks horns with Miss Beta Harcher, the town's prize religious fanatic, in a battle over censorship. 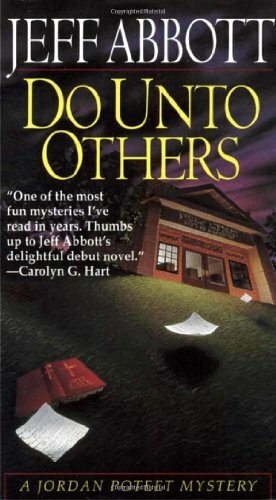 When Jordan finds her murdered body in the library, he becomes the prime suspect. And when the police find a cryptic list stashed next to her fanatical heart, it seems as if Beta Harcher has the whole town in a death grip . 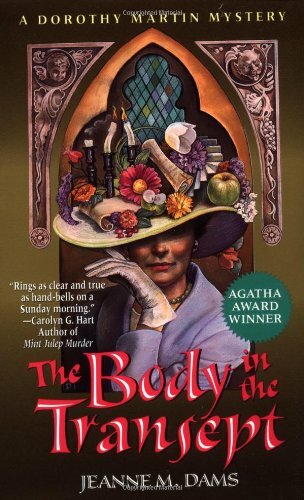 . .
Dorothy Martin, an American widow living in the English town of Sherebury, stumbles upon the body of an unpopular cleric, and she turns her talents to amateur sleuthing. By the author of The Body in the Town Hall. Reprint. Patricia Anne -- "Mouse" -- is respectful, respectable, and demure, a perfect example of genteel Southern womanhood. Mary Alice -- "Sister" -- is big, brassy, flamboyant, and bold. Together they have a knack for finding themselves in the center of some of Birmingham's most unfortunate unpleasantness. 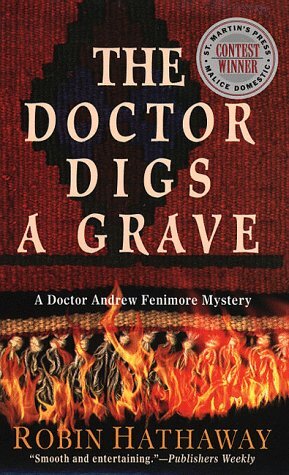 When cardiologist Dr. Andrew Fenimore isn't mending weak hearts, he's solving crimes in Philadelphia's wealthy Society Hill. 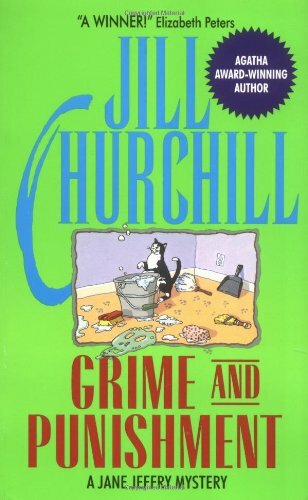 But murder is the last thing the good doctor expects when he befriends a teenage boy trying to bury his dead cat. As the two dig a grave for the cat's final resting place in a vacant lot-- which happens to be an ancient burial ground-- they discover a fresh corpse, buried feet flexed, facing east, according to Lenape Indian tradition. Fenimore's P.I. pastime starts to become a distinct health hazard as he and his young sidekick follow the trail of the deceased young woman straight to the son of a colleague, one of Philadelphia's most prominent surgeons. Surely the scion of a fine old Philadelphia family and his Indian fiancee ignited some powerful passions. But are they enough to risk trying for the perfect murder in a place where civility rules with an iron fist in a velvet glove? So far Meg Langslow's summer is not going swimmingly. Down in her small Virginia hometown, she's maid of honor at the nuptuals of three loved ones--each of whom has dumped the planning in her capable hands. One bride is set on including a Native American herbal purification ceremony, while another wants live peacocks on the law. 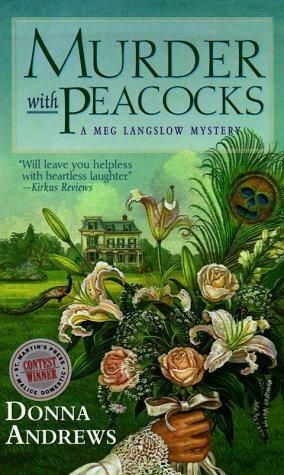 Only help from the town's drop-dead gorgeous hunk, disappointingly rumored to be gay, keeps Meg afloat in a sea of dotty relatives and outrageous neighbors. In Regency England, Beau Brummell stood at the forefront of genteel Society-and, against all expectations, in the middle of a murder mystery. It doesn't help that her name's Bubbles. Or that she's a gum-snapping hairdresser with Barbie-doll curves pinched into hot pants and a tube top. Or that she's saddled with a sleazy ex-hubby, a precocious daughter and a shoplifting mother. What can a beautician do to add new highlights to her image? For starters, trip over a corpse, and implicate a wealthy town socialite in the crime. Now, with a well-muscled photographer by her side, Bubbles is playing star sleuth. But as the investigation unravels, her shining moment grows as dark as a shopgirl's roots. However dangerous her new career, at least the hottest graduate of Two Guys Community College is finally busting loose—and this time she's really giving Lehigh, Pennsylvania something to talk about. 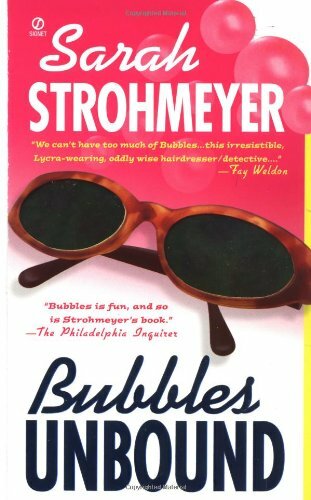 Sarah Strohmeyer won the 2002 Agatha Award for best first mystery for Bubbles Unbound. 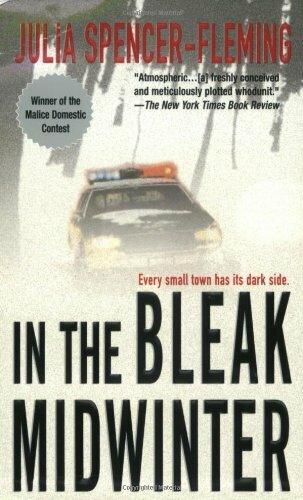 In the Bleak Midwinter was Julia Spencer-Fleming's first novel, and it won a Macavity Award, an Agatha Award, an Anthony Award, and a Dilys Award. 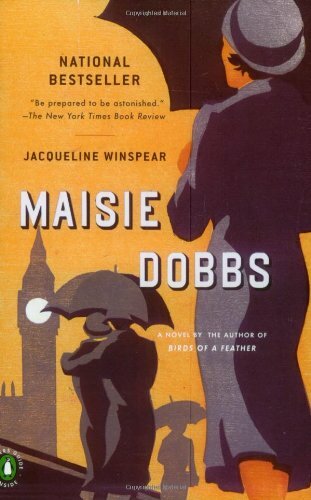 Hailed by NPR's Fresh Air as part Testament of Youth, part Dorothy Sayers, and part Upstairs, Downstairs, this astonishing debut has already won fans from coast to coast and is poised to add Maisie Dobbs to the ranks of literature's favorite sleuths. Los Angeles greeting-card artist Wollie Shelley is dating forty men in sixty days as research for a radio talk show host's upcoming book, How to Avoid Getting Dumped All the Time. 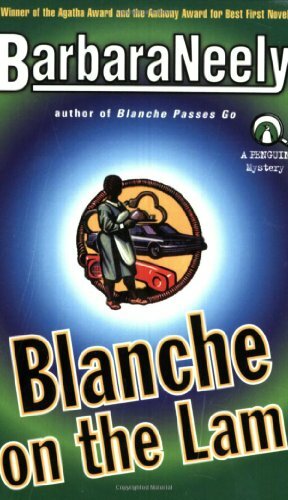 Wollie is meeting plenty of eligible bachelors but not falling in love, not until she stumbles over a dead body en route to Rio Pescado--a state-run mental hospital--and is momentarily taken hostage by a charismatic "doctor" who is on the run from the Mob. 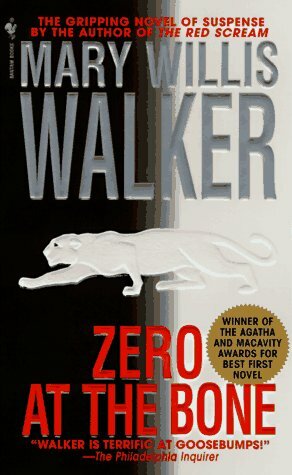 Wollie fears that her beloved brother, a paranoid schizophrenic living at Rio Pescado, is involved in the murder, so rather than go to the authorities, she decides to solve the crime on her own. 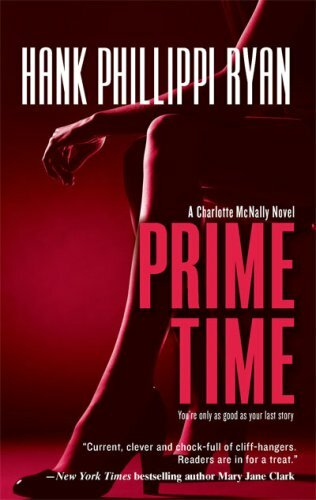 As she meets up with an array of small-time crooks and swaggering mobsters only slightly more sinister than the men she's been dating, Wollie realizes that "getting dumped" is the least of her problems. Finding true love, she discovers, sometimes means learning how to avoid getting killed . . . 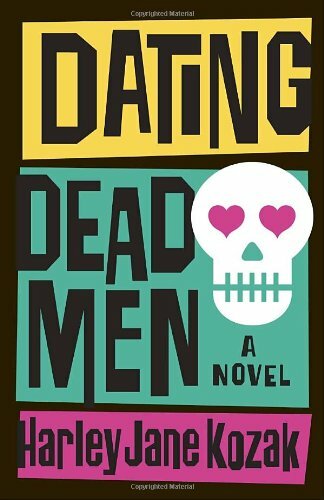 Dating Dead Men will keep readers guessing until the final bullet is shot--and cheering for the irresistible Wollie as she makes her way out of confusion and into the welcoming embrace of Mr. Right. 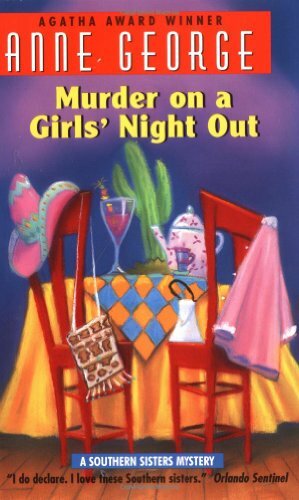 The murder of a particularly difficult mother-of-the-bride has cast a pall on wedding planner Annabelle Archer's latest triumph -- and suspicion falls heavily on her sometime-business partner and friend Richard Gerard. 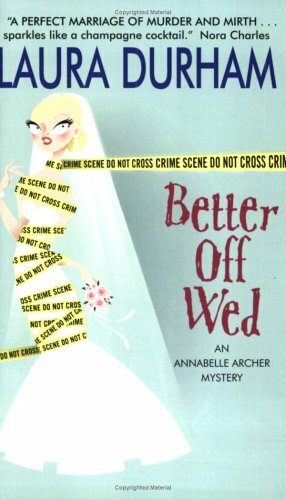 Annabelle knows that even her trusted wedding emergency kit won't be able to salvage their careers if she and Richard can't find the real culprit. It's no easy task since the slain matron was perhaps the most hated socialite in D.C., but Annabelle navigates through the city's colorful wedding industry and powerful social scene on the deadly trail of a killer. Always the bridal consultant and never the bride, she's seen her fair share of bouquet tosses. But there's no telling what surprises a ruthless killer will throw her way if she gets too close. 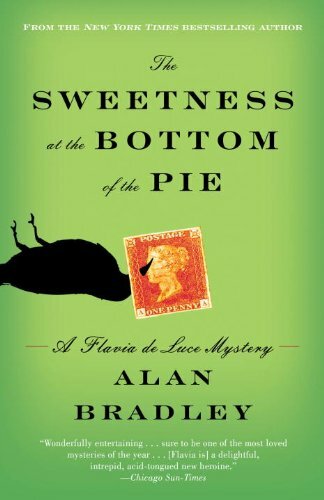 From deep in the heart of his eighteenth century English manor, millionaire Sir Adrian Beauclerk-Fisk writes mystery novels and torments his four spoiled children with threats of disinheritance. Tiring of this device, the portly patriarch decides to weave a malicious twist into his well-worn plot. Gathering them all together for a family dinner, he announces his latest blow – a secret elopement with the beautiful Violet... who was once suspected of murdering her husband. 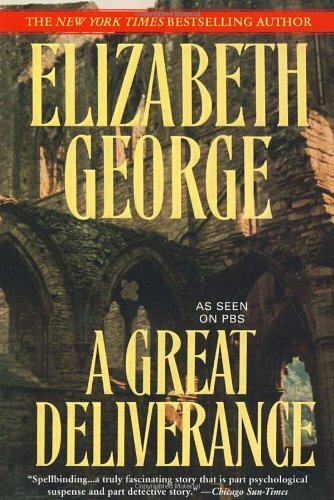 Within hours, eldest son and appointed heir Ruthven is found cleaved to death by a medieval mace. Since Ruthven is generally hated, no one seems too surprised or upset – least of all his cold-blooded wife Lillian. When Detective Chief Inspector St. Just is brought in to investigate, he meets with a deadly calm that goes beyond the usual English reserve. And soon Sir Adrian himself is found slumped over his writing desk – an ornate knife thrust into his heart. Trapped amid leering gargoyles and stone walls, every member of the family is a likely suspect. Using a little Cornish brusqueness and brawn, can St. Just find the killer before the next-in-line to the family fortune ends up dead? 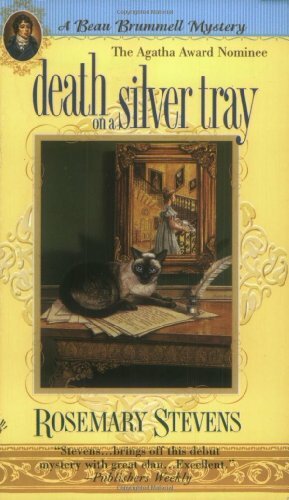 Death of a Cozy Writer was chosen by Kirkus Reviews as a Best Book of 2008, nominated for a Left Coast Crime award (the Hawaii Five-O for best police procedural), short-listed for the Macavity Award for Best First Mystery, nominated for the Anthony Award for Best First Novel and was a finalist for the David G. Sasher, Sr. Award for Best Mystery Novel. G.M. 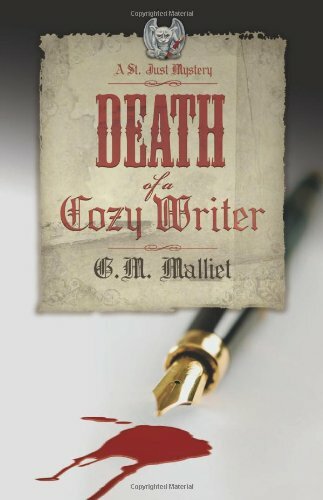 Malliet's Death of a Cozy Writer won the 2008 Agatha Award for Best First Novel and a silver medal for the IPPY awards in the category of Mystery/Suspense/Thriller. 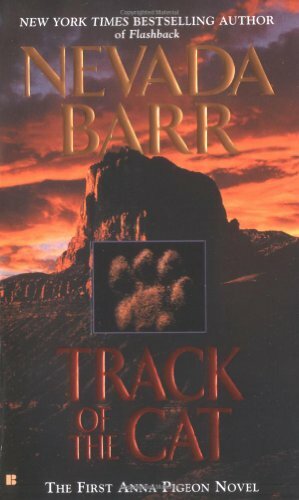 Agatha Award winner: best first novel. 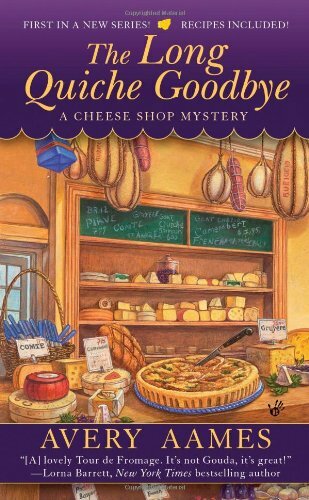 This is the first in A Cheese Shop Mystery series. Welcome to the grand opening of Fromagerie Bessette. Or as it's more commonly known by the residents of small-town Providence, Ohio-the Cheese Shop. Proprietor Charlotte Bessette has prepared a delightful sampling of bold Cabot Clothbound Cheddar, delicious tortes of Stilton and Mascarpone, and a taste of Sauvignon Blanc-but someone else has decided to make a little crime of passion the piece de resistance. Right outside the shop Charlotte finds a body, the victim stabbed to death with one of her prized olive-wood handled knives. 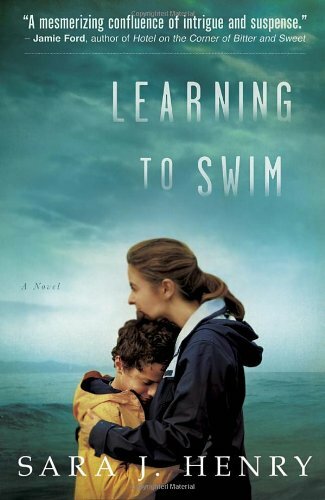 Sara J. Henry's riveting, award-winning debut will keep readers engrossed right up to its shattering conclusion. PI Liz Talbot is a modern Southern belle: she blesses hearts and takes names. She carries her Sig 9 in her Kate Spade handbag, and her golden retriever, Rhett, rides shotgun in her hybrid Escape. 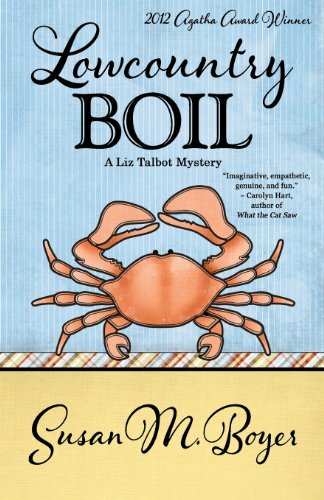 When her grandmother is murdered, Liz high-tails it back to her South Carolina island home to find the killer. But when her police-chief brother shuts her out of the investigation, she opens her own. Then her long-dead best friend pops in and things really get complicated. As more folks turn up dead, Liz must use more than just her wits and charm to keep her family safe, chase down clues from the hereafter, and catch a psychopath before he catches her.